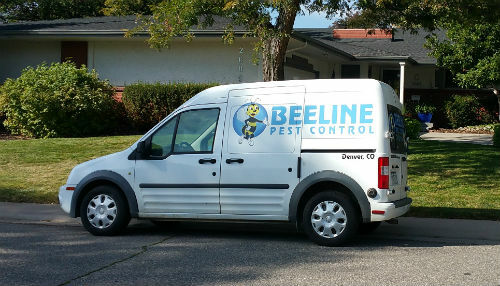 Beeline Pest Control is the #1 Greater Denver Area pest control & extermination company. 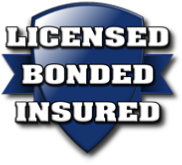 We have over 16 years experience, and have helped over 20,000 homeowners and businesses with pest extermination and other pest control. 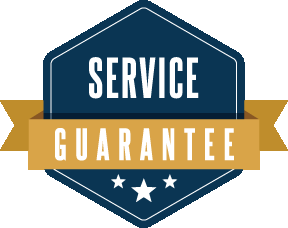 Read on to learn why we are the top choice for pest control in Greater Denver Area, then pick up the phone and call us for same day help with your pest problems. Quick, Reliable, Trustworthy. We highly recommend the S. Broadway office of Beeline Pest Control. Hands down, the best! We called a big name company, and they came at 4:30, then refused to help, because the bees were too high. We then called Beeline at 5 p.m. A most professional, prompt and pleasant technician, Jerome, came that night by 5:30, and sprayed immediately. He quoted a fixed fee, and even though there were some complications and he had to come back three more times and work into the evening, he honored his fee quote. Honest, knowledgeable and efficient. They took care of the problem without trying to sell us on an annual contract like the big name companies tried to push. This is how all businesses should be operated, not just pest control businesses. We endorse Jerome's services and Beeline Pest Control. Without hesitation, we will call them for any type of pests, not just bees! For the first time in the 20+ years we have live in this house, we saw mice in the house. First thing in the morning I called Beeline and they were able to fit us in that day. The tech was at the house just over an hour later, explained what he would do and the warranty period, did the treatment and was out within 15 minutes. Hopefully we have seen the last mouse.